Weightlifting is touted as a healthy exercise program to build lean muscle mass while eliminating fatty deposits. In addition to all the outer effects of exercise on your body, there are inner effects as well. Exercise, specifically cardio and weightlifting routines, have a significant impact on your immune system. Depending on your level of exercise, your immune system is either enhanced or suffers, according to David I. Mostofsky, Shlomo Yehuda and Norman Salem, authors of "Fatty Acids: Physiological and Behavioral Functions." Avid weightlifters tend to follow a strict workout routine, complete with nutritional drinks and several hours spent at the gym. During a 1996 study conducted by the USDA Human Nutrition Research Center on Aging at Tufts University in Boston, rigorous weightlifting and resistance exercise routines were given to eight healthy 22- to 33-year-old participants and six healthy 65- to 80-year-old participants. This study concluded that after 12 weeks there was no improvement or decline of immune system function in either group, showing that intensive, aggressive weightlifting has no effect on your body's natural ability to fight off infection and disease. Moderate weightlifting and other exercise may have different effects on your immune system than its more aggressive counterpart. Moderate exercise reduces stress, thus allowing for your body to produce more white blood cells to fight off infection, according to certified fitness trainer Cindy Brotherston of Inspirations Personal Training. During periods of stress, your immune system is suppressed, leaving you susceptible to viral and bacterial invasion. Brotherston states that your focus is averted from your troubles during moderate weightlifting sessions. Light exercise may seem ideal for those who are not as physically active as others; however, the effects of light, sporadic weightlifting can actually strain your immune system. This strain is because you are not continually working on your fitness level, according to "Fatty Acids: Physiological and Behavioral Functions." Stress is not relieved long term and your body is not being toned and kept as healthy as it should be. Light, sporadic activity is not an ideal replacement for regular exercise, whether it's weightlifting or cardio workouts. Weightlifting is not for everyone. 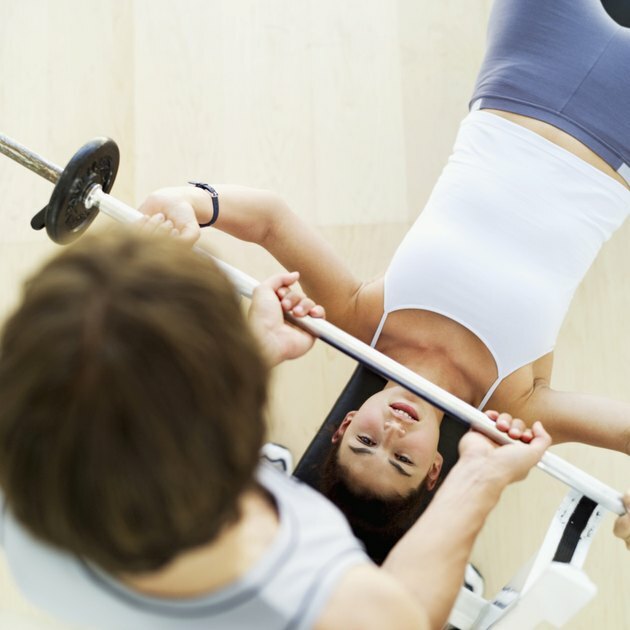 Certain limitations may prevent you from lifting weights over 5 to 10 lbs. Always consult your physician before starting any exercise or weightlifting regimen. Know your limits and do not try to exceed those limits, or you can be at increased risk of injury. PubMed: Effects of progressive resistance training on immune response in aging and chronic inflammation. Should You Exercise With Shingles?